Discussion in 'Education, Learning, Books' started by million$$$smile, Apr 8, 2014. Ok, I really enjoy reading but due to time constraints I am currently very limited to the amount of time I can read. Neither do I want to waste my time by slogging through a book just to see if I can apply some of its principles. I am looking for the TOP 3 BUSINESS BOOKS THAT YOU BELIEVE WERE TOTALLY LIFE CHANGING, and MIND ALTERING; that if you were left with a choice of only 3 in the world, what would they be and WHY???? if you want to add more than that, fine, but please keep them in order of priority. Needless to say, most of us can agree that TMF is on the list or we wouldn't be here, but I want to know what your others are and a short reason WHY. That way, I hope it will help me eliminate this incredibly long list I have and may not ever get around to finishing. So help me out, think about the TOP 3 life altering business books and if they are repeated enough by others, than it would be noted. Mrs. BRKb, JasonR, KLaw and 11 others like this. -Thick Face Black Heart- teaches you to deal with people, look at the big picture, keep from getting screwed over. Life altering? How about the Bible? YoungPadawan, Roz, co-heir and 16 others like this. Roz, Likwid24, Rem and 4 others like this. Change is a process, so I believe that each one of these were never solely responsible for changing my life, but each gradually added important information and priceless lessons to take away. Millionaire Fastlane and Rich Dad Poor Dad are undoubtedly the biggest kicks to the head. 2. Way to Wealth by Benjamin Franklin: America's first millionaire shells out golden nuggets of wisdom in a compact little book. 3. Personal Power by Anthony Robbins : Audio series that breaks down human behavior, and how the mind functions. Roz, ElPatrico, Supercar and 11 others like this. 1.) Scientific Advertising by Claude C. Hopkins. "Scientific Advertising is an important work on advertising from the early 20th century and is still used today by those learning the basics and more advanced parts of the advertising field. The author of Scientific Advertising, Claude C. Hopkins, is well known as the father of modern advertising techniques, and this book has been widely used by students of advertising and marketing." " ....Why is there a naysayer within? How can we avoid the roadblocks of any creative endeavor—be it starting up a dream business venture, writing a novel, or painting a masterpiece? Bestselling novelist Steven Pressfield identifies the enemy that every one of us must face, outlines a battle plan to conquer this internal foe, then pinpoints just how to achieve the greatest success...."
BlackMagician, 3V0LUT10N and million$$$smile like this. This one comes just after the MFL for me, really worthwhile. Mike McAdam, jacob montemayor, RazorCut and 1 other person like this. 1. Ecclesiastes. Nothing has value when you run out of time; conversely time is of supreme value. 2. Rich Dad Poor Dad: "The rich buy assets, the poor buy liabilities." 3. The Millionaire Fastlane: Poverty is a mindset that begets certain actions; you can be a millionaire and a side-walker. Nobody who hasn't made a million dollars fast can tell you how to make a million dollars fast. Your product must exist independent of your time, either through duplication or longevity, to produce wealth rapidly. From there, I think the forum really added a lot more insights, and reinforced what I missed on the first reading of TMF. After that, I've mostly been reading "tuning" books like Never Eat Alone; I need execution guidance now, I've been fully briefed on theory. Roz, Kak, Ouroboros and 5 others like this. Kingmaker and million$$$smile like this. 1. Seth Godin "Linchpin" - it makes me realized that I'm just a cog in a machine and always dispensable. 2. "The $100 Startup" - don't need millionaire backers/investors/VC to start your biz. 3. "Blue Ocean Strategy" - think outside the box, create your own niche and space (blue ocean) inside the vast ocean of competition (red ocean). Rinzler, jacob montemayor and million$$$smile like this. Honorable mention to Thick Face, Black Heart, The Art of War, and any of Henry David Thoreau's works. Also dig Atlas Shrugged, and Blue Ocean Strategy mentioned above. Also the Discipline of Market Leaders. SMH, Roz, #nowhere and 10 others like this. D11FYY, RazorCut and million$$$smile like this. You going to tally the results? I hope you share with us the rankings at the end! Likwid24, FastLaner007 and million$$$smile like this. deep singh and million$$$smile like this. 1- How to Win Friends and Influence People - Love this book! 3- The Laws of Success - This book is REALLY long. I have the audio version and listen to it when I'm running, on a plane, at work, etc... I think that anyone who truly follows Napoleon Hills laws of success, will eventually become successful. 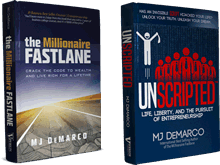 These 3 books will now tell you what to do to become successful, but will tell you the mindset and attitude you need to become a success. I believe that this is where you anyone should start first. Build your success from the inside, and eventually it will show on the outside. DeletedUser052, Cmart28, Marius S. and 6 others like this. 4HWW cops a bit of flack in TMF, but I think it is a valuable book. While a lot of the material is not relevant to everybody, it has some really cool ideas and resources that could be incredibly useful. More of a book to keep referring back to certain parts of rather than a start-to-finish kind of read. 2. The Tipping Point by Malcolm Gladwell. What makes things "tip" and turn into movements. 3. The Personal MBA by Josh Kaufman. Most of the knowledge of an MBA program for the cost of a book and a little time. I've never actually read Rich Dad Poor Dad. I know RK gets flack about the seminars but is the book a worthwhile read? If you really think that you can exchange a two years of hard work with one book and working by yourself, than you are literally really stupid. If you think, that you can believe a Man, who even never did a one mba program, but is teaching it, than you are naive as 5 years old in addition. Don't go to school, don't do mba. Yes, less producent a community of illiterated idiots. Was a personal attack really necessary? He gave his opinion about one of his favorite books. Chimp, Marius S., Ramma and 3 others like this. I know. But it can mislead people that going shortcuts will give them the same as two years of hard work with extreme inteligent people of enormous knowledge and experience. Totally uncalled for an out of line. Personal attacks have no place in a forum such as this, and there is no reason for you to be a jerk. Of course you cannot get everything from an MBA program from a book because of the networking and interactions that are missed when not meeting in person. 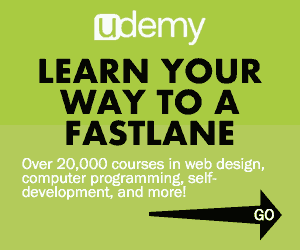 The same could be said for an online program, yet many have great success with them. It is all in how the knowledge is applied, because without action it is worthless. It is for a primer, for an absolute newbie to get them starting to think. Kingmaker, D11FYY, ExecutionisKing and 5 others like this.